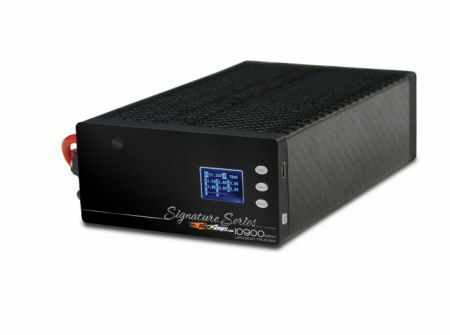 If you are looking for a commercial grade lithium polymer battery designed to hold up in heavy use applications, this is it. 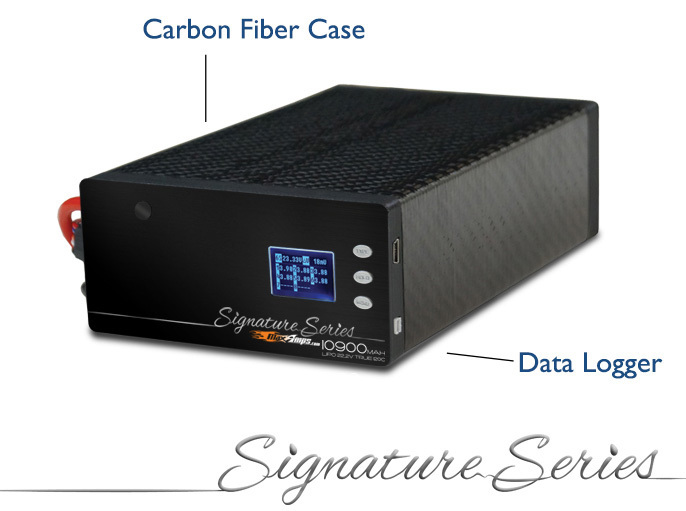 Our brand new Signature Series batteries are unlike any other batteries available in the industry. We start with hand-picked and matched, grade A 10,900mah LiPo cells. We enclose these cells with a lightweight carbon fiber case that will hold up in the most extreme environments. 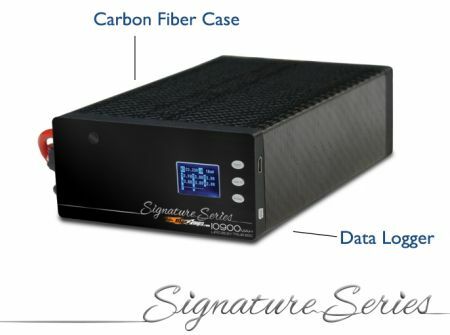 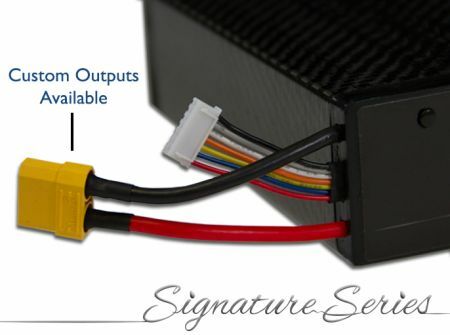 The Signature Series also includes an onboard data logger that not only tracks individual cell voltage but also stores 36 hours worth of flight data so that you know exactly what is happening with your power system. 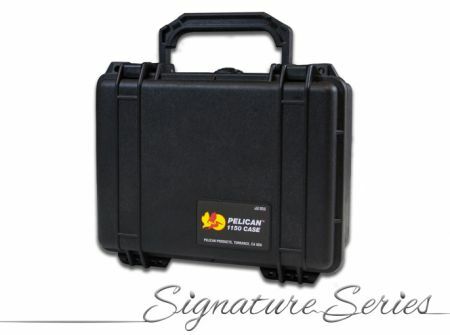 Each pack is assembled at our facility here in the USA and comes with a genuine Pelican brand case customized for your Signature Series batteries. We can provide any plug and tap combination that you require and these packs are custom built to order today.